Greg's life embodied his loyalty to his family, his school and his friends as well as his desire to be a meaningful part of those things. Greg was an Eagle Scout, an honors student, and a multi-sport athlete. Greg knew seeking leadership is not the same as leading, and Greg, whether or not he was team captain or house president, always found ways to lead by his actions and positive approach to life. Greg will forever be a member of the Xavier graduating Class of 2013. 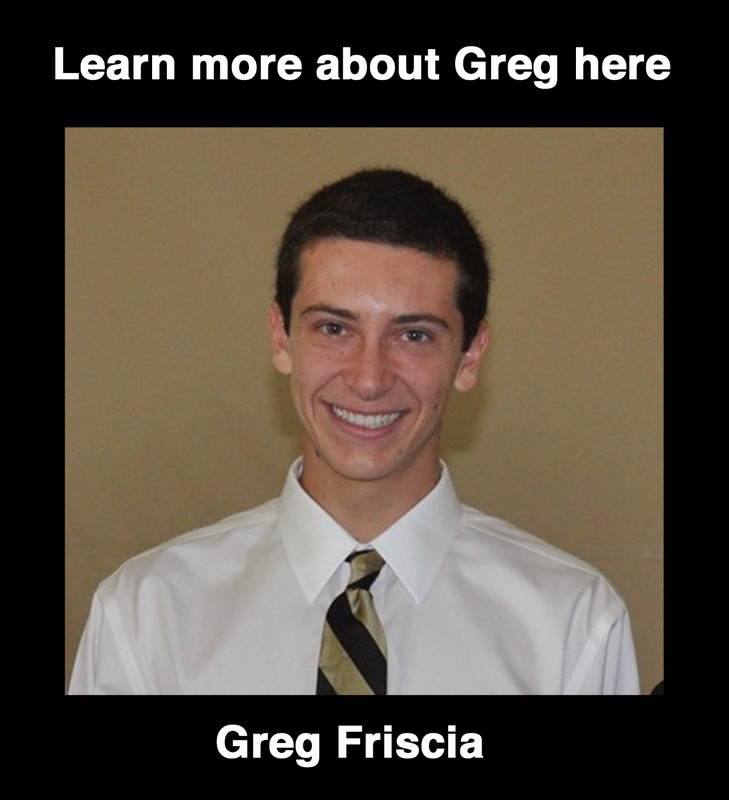 The Friscia family awards two Greg Friscia Scholarships of $2,000 each to students that meet the following requirements. Applicant must be a student athlete in the graduating class attending college at Xavier College Preparatory High School. Applicant should have a grade point average of 3.5 or higher. Applicant must be in good standing with the school (i.e. not on academic or disciplinary probation). Applicant should provide a copy of a 7-semester transcript. Applicant should provide a brief statement that describes his/her curricular and co-curricular involvement at Xavier and also describes their post-graduation plans. How have you demonstrated excellent leadership during your high school career? How have you made yourself a meaningful member of those things in your life that are larger than you (teams, family, school), and how have you sought opportunities to lead? Please avoid generalities and make a concerted effort to talk about your impact in concrete terms. Application Submission Deadline has been extended to April 30. Application MUST be submitted online.